Brothers Manuel and Valente Valenzuela still don their dress blue military uniforms with the ramrod-straight posture from their Vietnam War days. Manuel, a former Marine, carried out rescue missions. Valente, an Army soldier, was wounded and received a Bronze Star. The brothers, both in their 60s, are now waging a legal battle against an unexpected foe: the U.S. government. 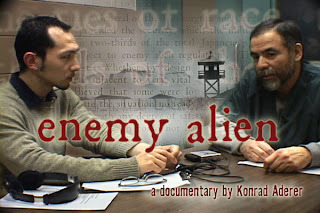 They are trying to stop the country they served from deporting them to Mexico. On February 26th, a ceremony is to take place in California apologizing to the approximately 400,000 people of Mexican ancestry who were deported from the USA in a spate of ethnic cleansing that gripped the USA during the Depression. What is at stake in this ceremony is not only the apology but what it says about racism and ethnic cleansing in times of economic crisis. FLORENCE, Ariz. (AP) — Pinal County Sheriff Paul Babeu built a reputation as a rising, conservative star by taking a hardline stance against illegal immigration, attacking the Obama administration and appearing alongside Sen. John McCain in a 2010 re-election ad in which McCain urged federal officials to just "complete the danged fence." The result has been undermining human rights, devastating families and communities, hurting local economies and placing unnecessary burdens on all Americans. NEW HAVEN — One of the immigrant recipients of a government settlement in a deportation suit summoned up the win in poetic terms Wednesday, while several speakers remembered those still jailed around the country in similar situations. 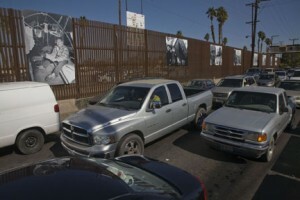 The photographs hang on the Mexican side, next to the lanes where traffic lines up, waiting to cross into the U.S. Screening to be followed by video chat discussion with the Enemy Alien director Konrad Aderer. April 28, at the Bijou Theater in Eugene, Oregon. Support Network (CanPalNet), in Vancouver, Canada. LONG BEACH, Calif. -- The director of Immigration and Customs Enforcement is praising two agents involved in a workplace shooting, one of whom killed a gun-wielding colleague in an effort to save the life of another agent. If there's one thing we should have learned from the events of the past year -- from the Wisconsin protests to the Occupy Wall Street movement -- it's that we no longer have to let the one percent dictate our agenda. People in the United States may not be as rabidly anti-immigrant as we've been led to believe. A woman who was being held in a suburban Chicago jail for missing a court appearance died Tuesday after going on a hunger strike. As the nation watches the Tucson Unified School District’s spiral into disarray, hundreds of students walked out of their Tucson schools Monday in a coordinated protest against the banishment of the district’s acclaimed Mexican American Studies program. They were known as Miller’s Boys, police officers who worked the 4-to-midnight shift, patrolling the largely working-class town of East Haven, Conn., including the small but growing Hispanic community that has spread out in recent years from New Haven.